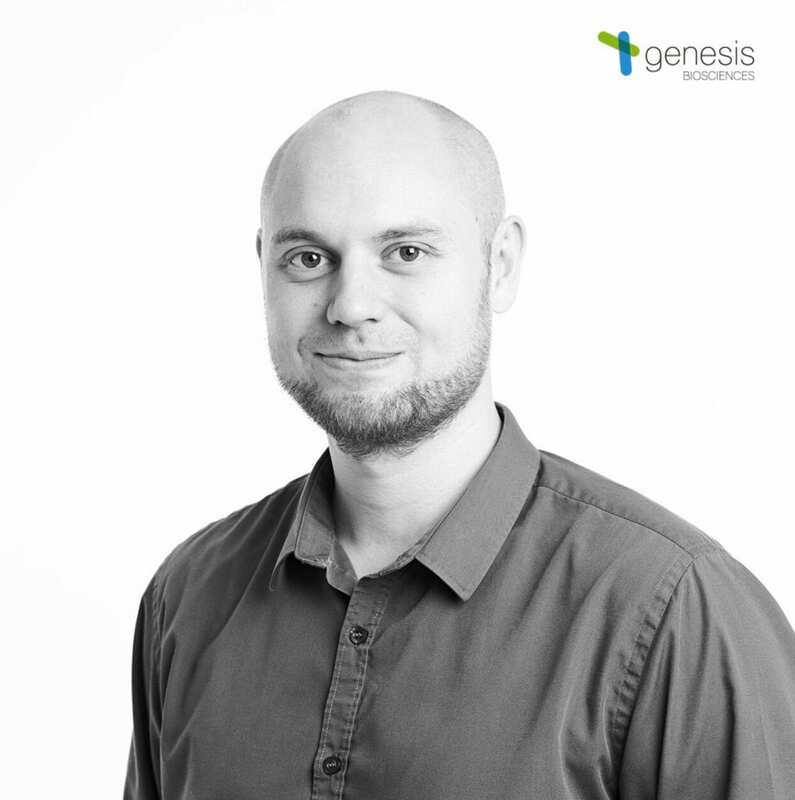 As a Research Scientist who joined Genesis Biosciences in 2017, Dr. Chris Charles brings his expertise in molecular and applied microbiology to our team. 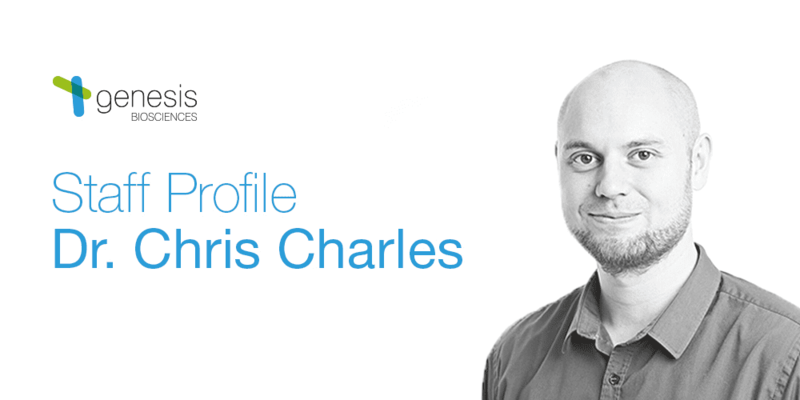 After many years honing his research skills and developing his scientific knowledge, Chris officially became Dr. Chris Charles in 2017 after completing his Ph.D in the biodegradation of isosaccharinic acids under alkaline conditions – now, he’s our Research Scientist. At Genesis Biosciences, Dr. Chris Charles uses his experience in working with environmental samples alongside, molecular and applied microbiology techniques to tackle some of the biggest bioremediation issues facing various industries. By looking into the genomic blueprints of our Bacillus strains, he can determine the different genetic attributes and metabolic potentials of the bacteria within our library. This type of cutting edge analysis helps to not only direct our research but also to ensure all the bacteria that goes into our products are truly application specific. So, as a somewhat fresh face to the company, what does it take to be a Research Scientist? And what’s it like joining the ranks of a global biosciences company? We thought we’d ask Chris to explain the science behind his work…. My role is quite varied due to the skills a modern-day microbiology graduate acquires during their training. Some days I will spend many hours in the laboratory setting up and running experiments with different bacterial species. Other days I may have to spend time at my desk crunching numbers or running bioinformatic analysis. The best days though are when I get to go on site visits to assess problems that a customer’s facility might have. You’ve just gained your Ph.D in the biodegradation of isosaccharinic acids under alkaline conditions – for those who don’t know, can you explain what that entailed? My project looked at the disposal of intermediate level radioactive wastes and the impact microbiology could have upon the long-term storage strategies the government is considering for this waste. With the project focusing upon a cement-based geological disposal option, where the waste is encased in cement and buried underground. Although this is a great option for retaining the waste for thousands of years to allow it to decay naturally and become safe, the organic portion of the waste is cause for concern in the long term. This is because, under the alkaline conditions generated by ground water interacting with the cement materials, the organic materials of the waste undergo hydrolysis to form isosaccharinic acids. These acids are able to interact with radionuclides and bring them into solution, allowing them to travel out of the disposal facility and potentially into the food chain. My research looked at the ability of microbes within similar environments to degrade this acid. If the bacteria can degrade this acid they can help to retain radionuclides. In my research I was able to show that bacteria from hyperalkaline environments were indeed able to degrade this acid and were capable of surviving in these hostile environments by forming a biofilm (a type of slime). In this instance the slime encases the bacteria and helps to neutralize the external pH, which in turn favors the growth of a diverse range of bacteria. Having graduated from your Ph.D in 2017, what was it about Genesis that made you want to work here as a Research Scientist? Since my undergraduate years I have developed a strong affinity for applied research. I believe every project should be geared towards a real-world application. Genesis allows me to take all the skills I have gained to date and apply them to solving real problems. Doing what I am interested in drives me. I set out down this path to become a scientist over 8 years ago because I was following my interest in biology. Now here I am doing just that! 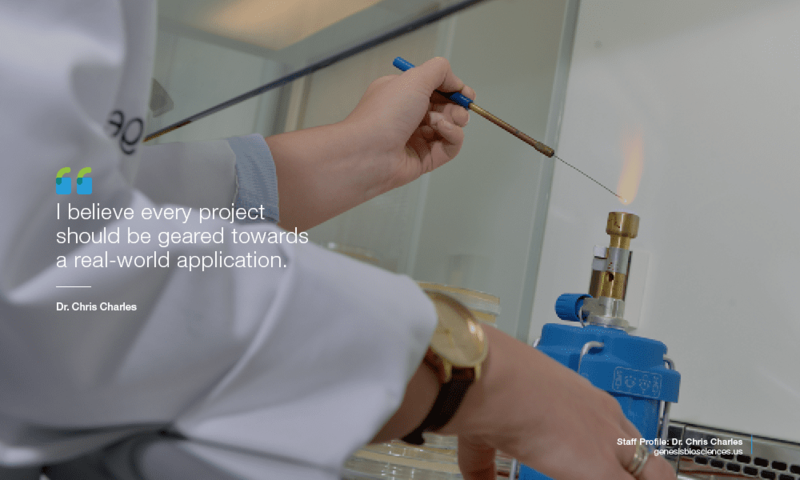 What’s the best thing about working as a Research Scientist at Genesis? The depth and scope of projects that our technology can be applied to. I have a very long list of exciting opportunities. I usually start the day by catching up on emails and correspondence from both industrial and academic collaborators and partners. Then I usually either plan or conduct an experiment. In the afternoon I will analyse any data I have generated and/or research the latest literature to generate ideas for my current or upcoming projects. For me at the moment it is finding time to allocate to all the opportunities we have available for research. Sometimes prioritizing one project over another can be hard, especially if the delayed project is one you have a strong research interest in. I like to follow Occam’s razor, where the simplest solution with the least number of steps is likely to be the best. What is one thing the general public might not know about your job as Research Scientist? Bacteria can grow very quickly. 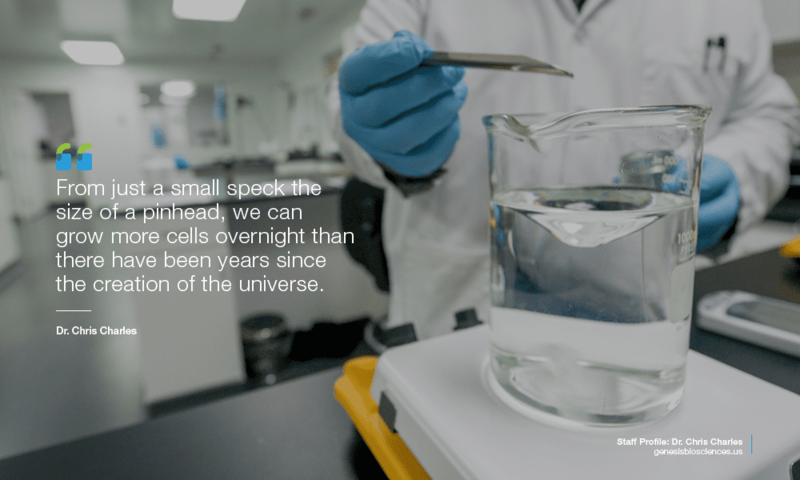 From just a small speck the size of a pinhead, we can grow more cells overnight than there have been years since the creation of the universe. The genomic sequencing of our bacterial library. It is allowing a modern and cutting edge approach to product development. Lots. I am heavily involved in the production of a range of products which are destined for the wastewater industry. This work will involve a range of different projects and collaborations with both academia and different industries. Which is not only a good opportunity for career development for myself, but also a real opportunity to develop products that will positively impact the environment. To find out more about the work of Dr. Chris Charles and Genesis Biosciences, visit our About page.